Many varieties of beans are popular as garden plants. They grow easily and produce large quantities of beans in a short time. Bean plants are easy to take care of because they produce their own nitrogen fertilizer and don’t need a lot of water to thrive. Some varieties of beans can even be eaten raw in their immature state. Beans are fragile plants that are easily broken but also easily grown. They require little work aside from the occasional weeding. Beans must be planted after the last frost of the spring because the seeds will not germinate in colder temperatures. They are warm-weather plants that must be harvested before the next cold season begins. Bean plants prefer semimoist environments rather than excessively moist ones. Bean seeds will not properly germinate in a wet environment and existing plants won’t thrive with too much moisture in the soil. Watering the seeds slightly a short time after planting them is better than soaking the planting zone before planting. If the beans are picked frequently and not allowed to go to seed, the plant will continue to blossom and produce more beans throughout the entire summer until cold weather arrives again. As long as the bean pods aren’t allowed to dry out and go to seed, the plant will try its best to produce more beans to make seeds. The results are good yields and multiple pickings from one plant. 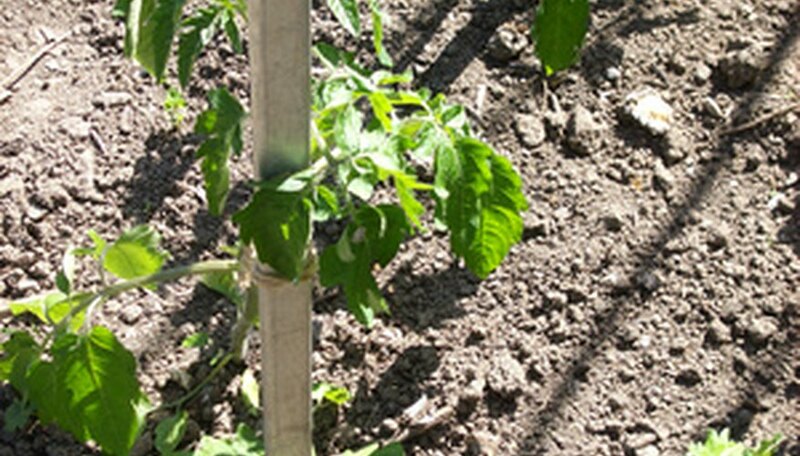 Bean plants tend to spread out, particularly the pole beans, so the proper spacing is at least 6 inches apart and the rows of beans should be planted about 18 to 30 inches apart. The roots stay fairly shallow and will move sideways under the ground. If one plant accidentally gets uprooted and the plants are too close together, several may come up at once. Also, diseases can spread faster among the plants if they are in close contact with each other.